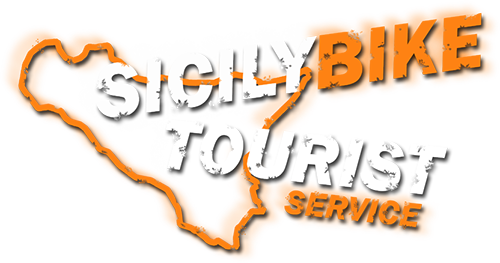 Sicily Bike Tourist Service for an unforgettable trip. Bike tours to discover the enchanting and unspoilt territory of our Sicily, from unique landscapes and postcard scenarios, of places and streets rich in history and folklore, cultural treasures and typical food and wine products of our land. 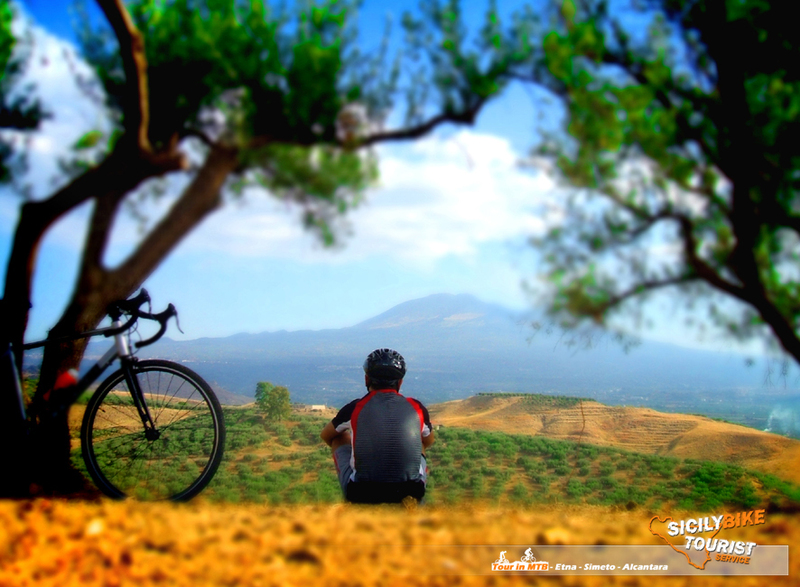 The proposal of Sicily Bike Tourist Service is presented in low cost formula, aimed at those who wish to discover, through mountain biking, the colors, smells, tastes and emotions that characterize our land, rich in wonderful scenery. Sicily is an open-sky museum, wherever you go you will find: culture, nature, history, adventure, tradition, flavors and suggestive landscapes. 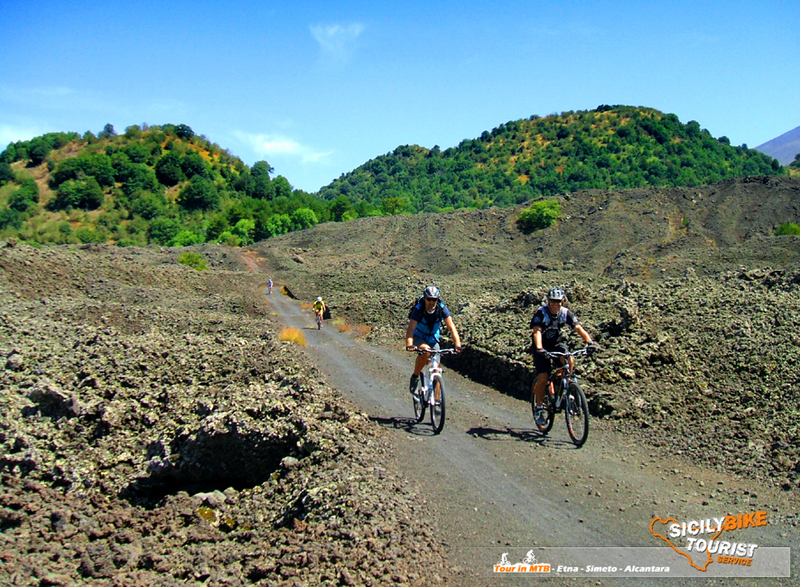 Our is a bike ride to discover Eastern Sicily and specifically Mount Etna, the River Simeto River and the Alcantara River. 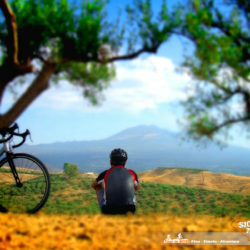 We thought about a 5 day tour (4 bike tours) to visit Sicily by bike. 1st day: Arrival in Catania, accommodation in structure “Homestay Accommodation”, free afternoon. In the evening, welcome dinner, with tasting typical Sicilian products and presentation of the tour by staff. 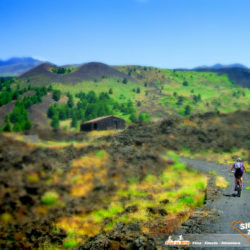 2nd day: We will enter the heart of the experience, with the first MTB tour, what better way to start with a mountain bike tour to discover Etna? 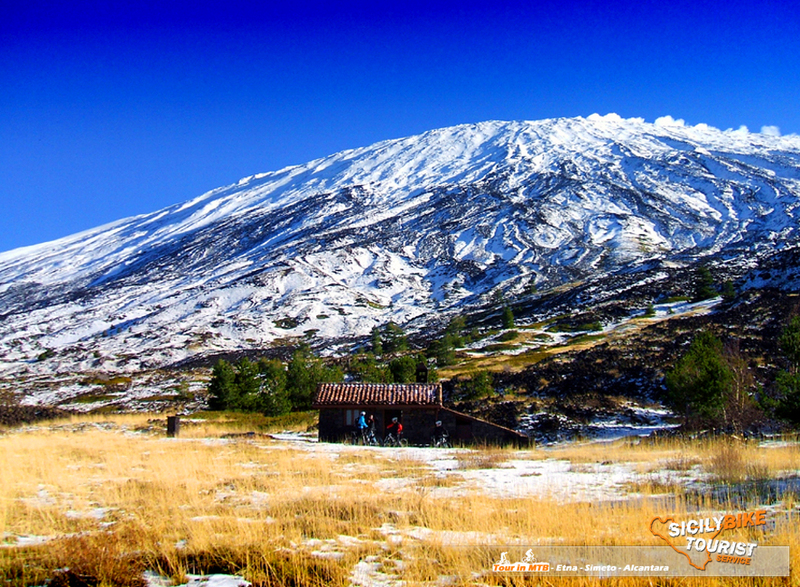 never boring and never trivial, landscapes from the morphology that will leave you astonished, places from the historical memories that are now part of the very nature of the mountain. From our headquarters in Catania transfer to shuttle at the starting point of the MTB excursion. Depending on the cycling ability, participants will be able to choose three of our most popular tours, with varying degrees of difficulty. Expected return for lunch time. Lunch, afternoon and free evening. 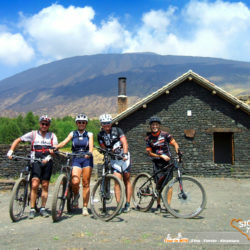 3rd day: MTB cycling tour on/off road, with bicycle, departure from our Catania seat. Crossing our Catania we head towards the River Valley of Simeto, Sicily River (113 km, basin 4186 km2), the most important for the volume of water and surface area of the basin between the Sicilian rivers. Along the streets and the typical Sicilian dirt roads, we will discover the true Sicily, the Sicily of the villages and districts full of history. We cross part of the river Simeto we head towards an hinterland characterized by clay hills and sandy paths, where there are no excessive altitudes. Mileage and difficulty of the trails will be selected according to the abilities of the participants. Returning from the tour the participants will be free afternoon and evening. 4th day: Cycling tour to discover the streets of Catania and neighboring Ionian coast (Aci Castello and Aci Trezza), villages whose fascinating beauty is narrated in innumerable tales and legends. After leaving the coastal area we head for a hinterland characterized by short off-road trails and climbs with important and challenging altitudes, just to put some test. Path on road with short stretches off road. 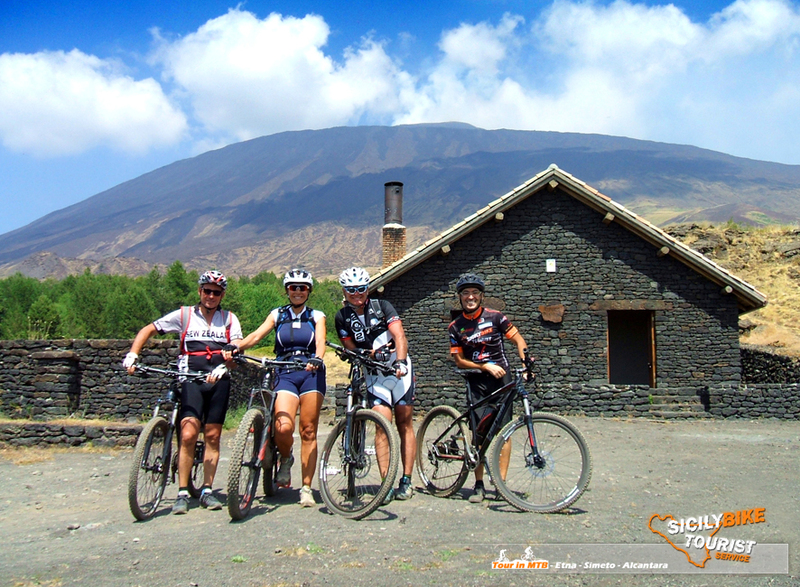 5th day: MTB Tour, transfer by shuttle from our Catania seat to the starting place. Mountain biking excursion along the cold waters of the Alcantara River, a watercourse with unusual features. 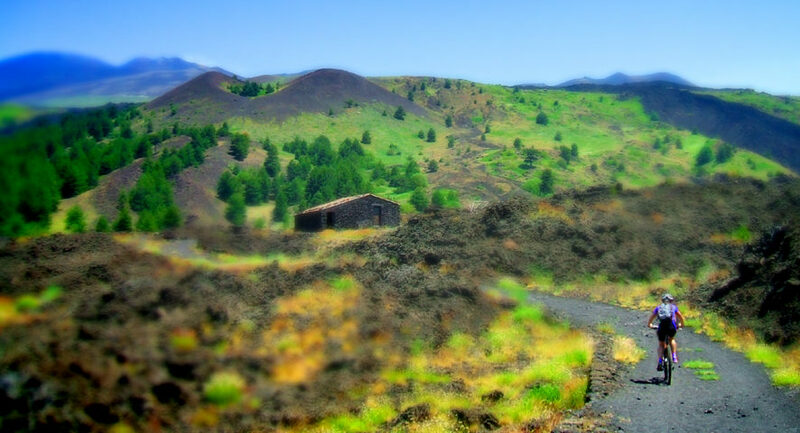 It is born from the volcanic cone of Mount Etna, at 1250 meters above sea level on the Nebrodi Mountains, though only 52 km away, it is of great importance for the many natural, historical and cultural aspects. 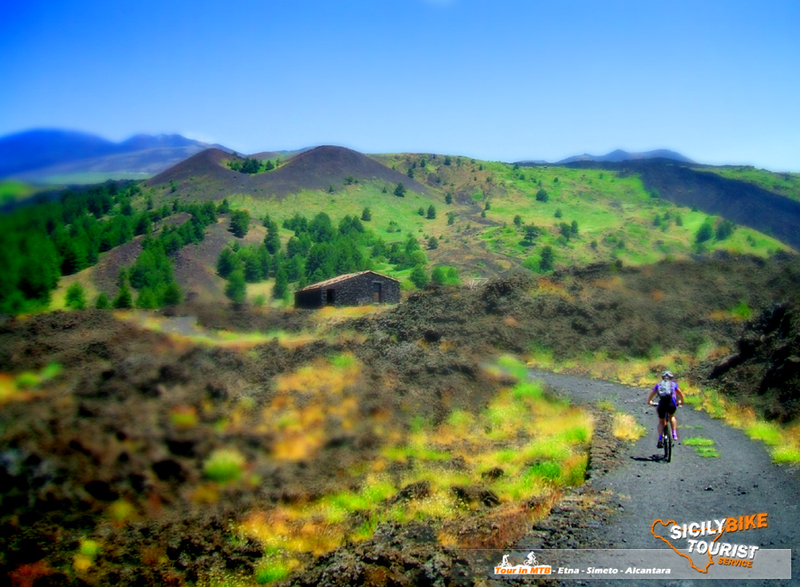 This is the tour where you can find the most varied type of paths: sand, lava sand, lava stone, cobbled clay, challenging climbs and thrilling descent… all this in one on/off road that never disappoints. The most daredevils will be able to bathe in the cool waters of the river, a classic that can not be missed. Off-road mixed route with some trails on the road. Returning from the tour, scheduled for late afternoon, we will have a couple of hours of relaxation before the final greetings with tasting of “Arancini” at our head office. 6th day: Last day, departure. What Include Bike Excursions: 2 packet lunches, customized MTB (flat pedals, SPD pedals only on request), customized helmets, customized wind jacket, backpack, 4 energy kits (includes water, energy drinks and snacks, energy fruit gels, energy jelly with fruit), qualified bike guide, assistance technical-logistics, first aid kits, pick-up(for excursion trips to Etna and Alcantara) and RC insurance coverage. What’s included the stay: Five nights in the formula “Homestay Accommodation”, shared room for max 4 beds, shared bathroom (outside the room), TV in the room, small breakfast for each day of stay (five breakfasts, for each guest ), a welcome dinner and a tasting of typical Sicilian gastronomy. The reservation of the room is exclusive. The property is located in the center of Catania, therefore you can visit Catania in all relax, without uncomfortable transfers by car or taxi. Means “Extra” all that is not specified in the excursion and stay service. It will be our pleasure, pamper you and accompany you, around the historic center of Catania in streets and squares rich in history, bringing you to the discovery of a unique city and full of folklore… suggesting the most typical places to enjoy specialties, culinary and confectionary. Free time: Participants will be free and they can organize themselves to go shopping, for a walk along the city streets, go to the sea etc.etc. Lunches and dinners (where not included): Participants will be free and will to organize themselves. For reservations are required fifteen days in advance. Opportunity to participate with their own Mountain Bike, in this case will be deducted the cost of the MTB, quote on request. -To book the tour you need to pay a deposit by bank transfer in our favor equal to 30% of the total. In case of postponement of the tour by the customer to a new date(for illness, unforeseen work etc…etc )the communication must be received no later than 5 days prior to the first date of the tour, in order not to lose the deposit already paid, of course, we will make sure to find a new date for your needs. In case of cancellation of the tour by the customer, without any justification, the deposit paid of 30%, will not be returned. In the event that our organization can’t fulfill, because of internal problems, the performance of the tour booked by the customer, we will as soon as possible to return the 30% deposit paid in our favor. 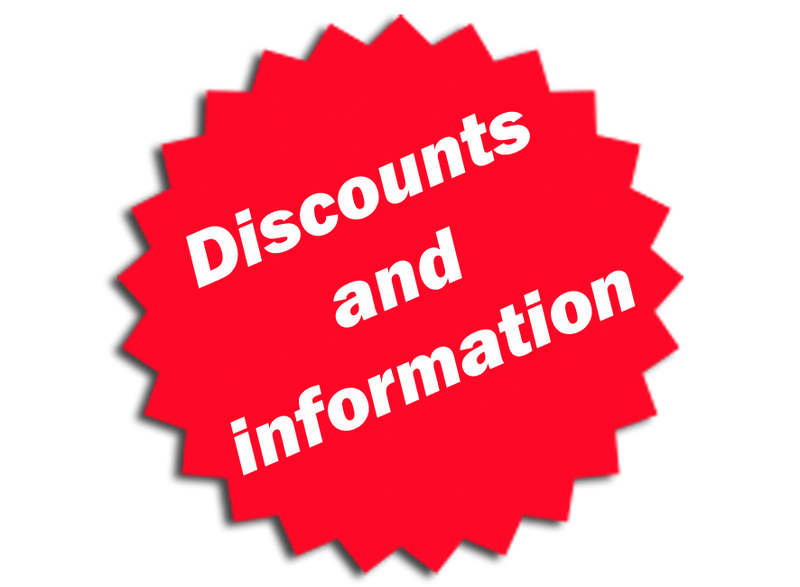 No discounts are applicable to this tour.